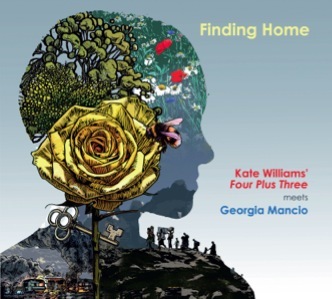 Kate continues her longstanding musical partnership with award-winning vocalist/lyricist Georgia Mancio: Kate Williams’ Four Plus Three meets Georgia Mancio was premiered on 6th October 2017 at the Pizza Express Jazz Club in London. Read the full Guardian review here. 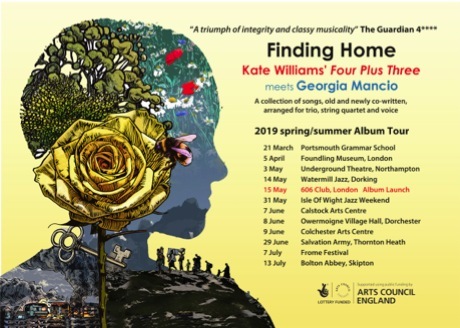 Their new CD Finding Home is due for release 1st June 2019 with an accompanying spring/summer tour with support from Arts Council England. CD will be available here from 1st May. Visit Forthcoming Dates page or Georgia Mancio's site for more information.